Facebook’s Safety Check tool to help users alert friends about their safety was activated for the first time after a terror attack in Paris on Friday, with a large number of users reporting they had benefited from it. But that move drew widespread criticism online that the company had been partial, as it had not activated the feature in other locations recently hit in terror attacks, notably the twin attacks in Beirut on Thursday. Facebook’s current travails highlight the minefields a global company can encounter as it tries to accommodate sensitivities across the countries it operates in, where users’ priorities can be different and there is often the tendency for certain groups to feel they are not important enough for a giant multinational. Cultural differences can also be potential challenges as the company adapts to different markets. Like Twitter and Google, Facebook has been often called upon by governments or local groups to censor objectionable content that may appear innocuous in other cultures. In the wake of the controversy over the activation of Safety Check in Paris, Facebook CEO Mark Zuckerberg assured its users that the tool would be turned on more frequently in the future during human disasters. “Many people have rightfully asked why we turned on Safety Check for Paris but not for bombings in Beirut and other places,” Zuckerberg wrote on his Facebook page. The Safety Check tool asks users believed to be in the location of an emergency if they are safe and lets them inform their friends by clicking a button. 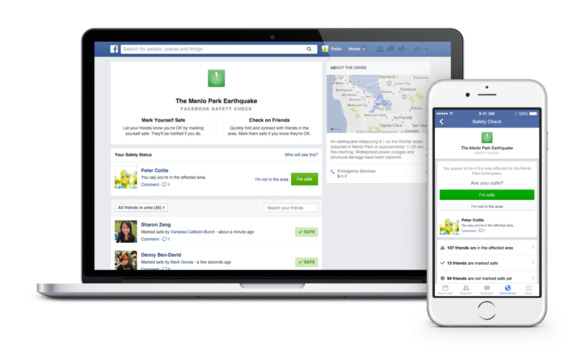 People also can check in on users who they believe are in the emergency area. The tool was first used in a “very early version” in Tokyo during the 2011 Tsunami and nuclear disaster and later after recent earthquakes in Afghanistan, Chile and Nepal as well as Tropical Cyclone Pam in the South Pacific and Typhoon Ruby in the Philippines. Facebook’s criterion for the selection of natural disasters for which it activates the feature on its website includes the scope, scale and impact, Alex Schultz, Facebook’s vice president for growth, wrote in a post Saturday. The company decided to use the tool in a terror attack for the first time in Paris after it was observed that “Facebook became a place where people were sharing information and looking to understand the condition of their loved ones,” according to Schultz. The company after talking to its employees on the ground, found that there was still a need the tool could fill, and decided to activate Safety Check for the first time for an emergency other than a natural disaster. Schultz said the activation would change the company’s policy on when it activates the tool for other serious and tragic incidents in the future. “We want this tool to be available whenever and wherever it can help,” he said. The Facebook Safety Check for the Paris crisis has meanwhile been turned off.